Announcements will be made within this forum about advancements, special offers, and exciting information about the Vodia PBX. New product features and versions will be released within this forum. Please state any comments here about our product or innovations. 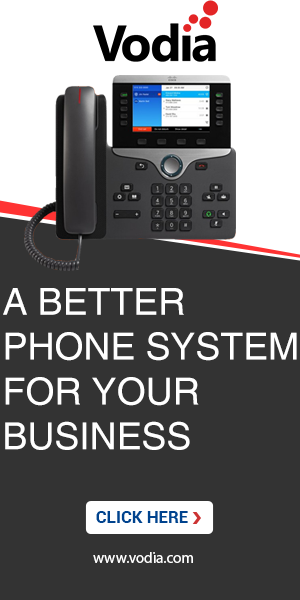 How to use cell phones with the PBX. How to use the web interface. This forum is for understanding the Vodia PBX customers. This is an effort to improve Vodia's marketing activities by understanding how others learn about us and to learn more about our customers pain points, aspirations, etc. Please help us by sharing your input and we will try our best to improve our services. Any setup questions you might have that do not fall within any of the categories below should be posted here. In this forum, we should discuss what setup avoids problems and gives the best impression to the end user. Any setup questions related to Dial Plan setup should be posted within this forum. Any setup questions related to Extension Setup should be posted within this forum. Any setup questions related to Conference Room setup should be posted within this forum. Any setup questions related to Auto Attendant setup should be posted within this forum. Any setup questions related to IVR Node setup should be posted within this forum. Any setup questions related to Agent Group setup should be posted within this forum. Any setup questions related to Hunt Group setup should be posted within this forum. Any setup questions related to Calling Card setup should be posted within this forum. Any questions related to SOAP should be posted within this forum. Call Data Records. How to create them, how to store them. Any questions about gateway integration with the Vodia PBX or anything to do with gateways should be posted here. Any questions about Internet Telephone Service Providers should be posted here. Check out how to get the PBX working with Exchange, OCS and Speech Server. This forum is not intended for operating system problems. Discussions and questions about hosting should be posted here. Post anything off topic here. If you have any problems with the forum please report them here.